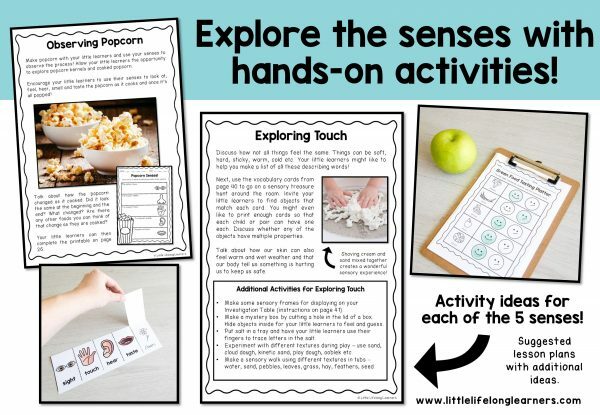 Explore the 5 senses with engaging activities, hands-on learning experiences and printables to match! Are you ready to explore the 5 senses with engaging activities and hands-on learning experiences? Set up an investigation table with word wall cards and posters. 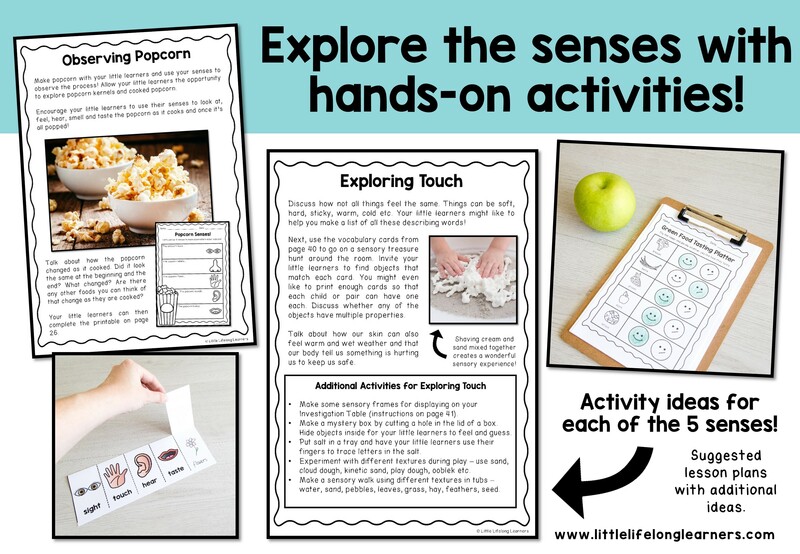 Explore our five senses with engaging activities with matching printables for every sense! 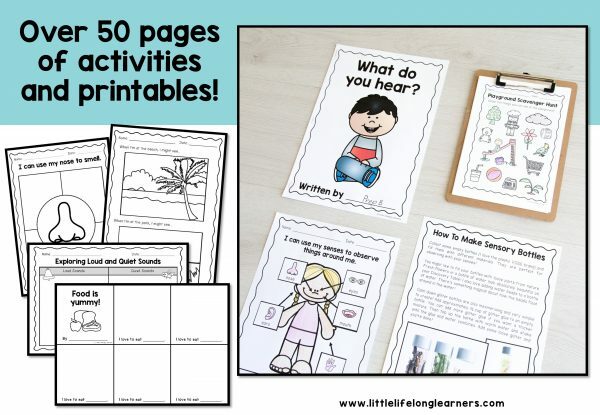 With over 50 pages of hands-on activities, matching worksheets, labels and displays, absolutely all of your planning has been done for you! Simply print, prepare and teach! • Suggested lesson ideas and additional supporting activities and printables for each of the five senses! • Printables for assessing student knowledge! 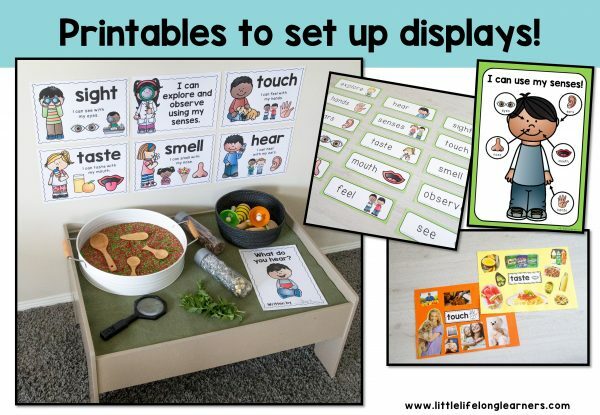 Each of the five senses feature a suggested sequence of activities AND a range of supporting activities for further exploration. For example, when exploring the sense of touch, your little learners will go on a sensory treasure hunt around the room. They will use a graphic organiser to record objects that are hard, soft, bumpy, smooth and rough. They might then use a salt tray to trace letters with their fingers or experiment with different textures like ooblek and cloud dough during their play! After completing this unit, you will have addressed the first part of the foundation Year Biological Sciences strand of the Australian Curriculum! There is so much packed into this unit – I just know your little learners will love exploring the senses with discovery bottles, sensory frames, sensory jars and so much more! Click here to check out my other Science resources!